One of Sobrarbe’s unknown valleys. 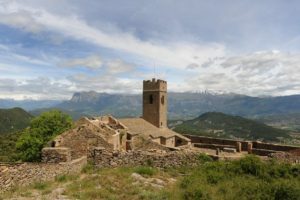 You’ll find some real heritage gems, especially Romanesque, in this peaceful setting with its beautiful natural landscape. You can follow a Romanesque La fueva signed route by car. 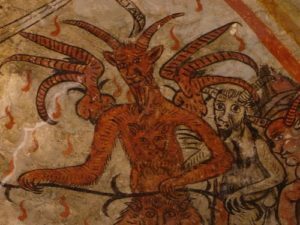 San Juán de Toledo: Its 11th century Romanesque church with splendid frescos from the 16th century is a national monument. Muro de Roda: A walled Romanesque fort built for defence. Impressive, panoramic views. Santuario de Bruis: Next to Palo. A place of devotion for the people of La Fueva. Countless hamlets and villages with typical Pyrenean buildings: Luján, Trillo, Troncedo, Pano, etc. 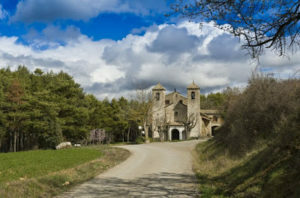 Traditionally relying on agriculture and livestock farming, the valley of La fueva is now opening up to the all important industry of rural tourism.